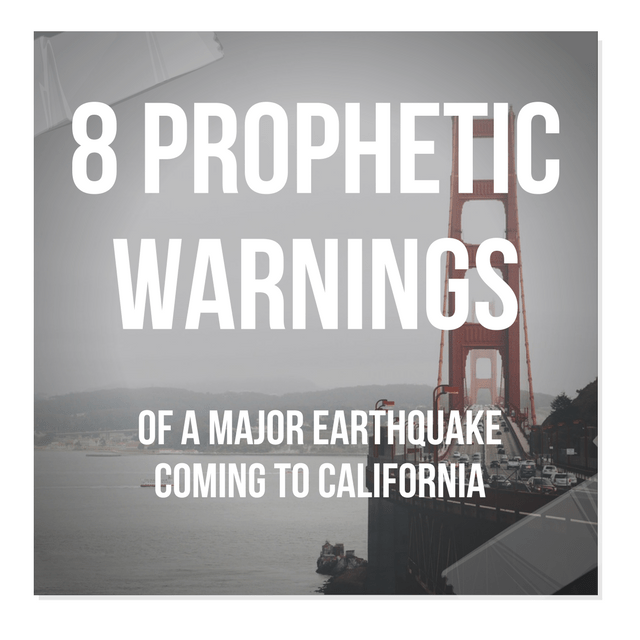 I received an email this week from Byron Searle sharing a prophetic warning he received recently regarding a major earthquake striking the west coast of the United States. Byron is the same man who recently shared a word regarding four judgments coming upon the United States, which was shared anonymously using an alias name, Military Mike, which was given to him by Lyn Leahz when she interviewed him. Since then, he received permission from the Lord to go ahead and share the warnings using his real name. His latest warning was so disturbing, I felt it needed to be presented within a larger context of other similar warnings to help us see how close we are to the fulfillment. So, below his testimony, I have included confirmations from several others including the late prophet Bob Jones, Rick Joyner, Sadhu Sundar Selvaraj, and several Z3 News contributors. The good news is God is not only giving prophetic warnings, but also prophetic signs to watch for, which will let us know when the time is close. Even though He has been warning about this event for many years, and even though His warnings have been largely ignored by the Church, He is graciously providing more warnings, including the preceding signs. Byron’s previous word revealed a sequence of events with a 12.2 west coast earthquake preceded by a 9.1, so the 12.2 is not the next thing coming. So, combining Byron’s and Kevin’s warnings reveals a series of progressively stronger earthquakes beginning with 5.7, then a 7.5, then a 9.1, and finally the big one, 12.2. A 5.7 earthquake struck off the coast of California on September 22, 2017. This week, Byron received the following warning, revealing the 12.2 will follow the 9.1 within 24 hours. While in prayer yesterday the Lord gave me this word. It was very disturbing as I was given a vision while the Lord was telling me about it. I saw a vision of a northwest earthquake and the Space Needle falling over in Seattle. Then I saw California and what looked like the a crack or split running from San Francisco to San Diego just opened up and the land on the coast just fell off into the ocean. The Lord says, “My son, write these words this day, for it is a day of sorrows. Many people will perish this day and hell will be enlarged. My Mercy will be on the souls who believe in my son, Jesus. Judgment Day has come. My son, I have shown you while you were praying what is coming. The Northwest will be first. The 9.1 will shake Washington and Oregon with fierceness. 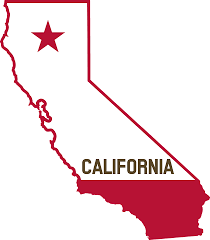 Within 24 hours, California will be broken apart by the 12.2, which will cause a separation of the state. Part will fall into the sea, and what remains will be shattered. California, you rebellious state. You want to separate? I will give you what you want,” says the Lord. I do not know what day this will happen, but when it does, it will be extremely sorrowful and hell will be enlarged. I also had the feeling that it was very close, even NOW. At a 2012 meeting at MorningStar Ministries, the late prophet Bob Jones shared the following warnings. “From San Diego to Seattle, that’s what He told me a few years ago. Rick (Joyner) and I at the same time, we were together in California in 1989, we both got prophecies, we saw things of a coming earthquake that’s beyond anything you can imagine. I’ve known there was an archangel holding the place together in California. Years ago, I don’t remember how long, but I think it was mid-seventies, the Lord told me that He is going to give them a warning in California and the shaking will begin in Caliente and Mexicali. When those two places shake, it will shortly happen in the other places. So, I think that if people will listen, He’s going to warn them and I think the warning will be Mexicali and Caliente, border line. Speaking at the same meeting with Bob Jones, MorningStar founder Rick Joyner shared the following warning. These warnings were recorded in the following video. For three days in a row in 2015, Sadhu Sundar Selvaraj received warnings from God regarding a coming earthquake in the United States. I was in Costa Mesa on June 19 for a conference among the Chinese people. And one afternoon at 5:43 PM, as I was preparing my message, the Lord Jesus walked into the room and He came and stood by the sliding door window, just overlooking the city of Costa Mesa. He never spoke any words. He was just looking. When He said, “this place,” at that moment I felt in my spirit He was referring to the state of California. He said it would be torn in two like how a paper is torn in two. I understood the Lord was referring to Israel. When he spoke those words, I saw angels, many of them in many places all over the United States, standing ready to execute destruction upon the nation. I saw three places that were marked for massive destruction through earthquakes. I don’t know what are the three places. I was just shown three places. So, I did some googling and found there are three major fault lines in the United States. One is the San Andreas and the other is in the middle of the United States and the third is somewhere else. So, I turned around and there was this mighty angel with a big weapon of destruction in his hand. I saw this angel standing beside me and at the same time, I also saw him standing outside the airport. This angel was standing beside me and standing outside near that Encounter restaurant at the same time. This is the same angel. But when he stood outside, he appeared so huge that his head touched the clouds and he had this huge weapon of destruction that looked like a sledgehammer. You know the one that Thor has? Like that. When he spoke that, I saw many angels under his leadership and they all stood exactly where the earthquake fault line is going to be in Los Angeles. They all stood in one line with their hammers lifted in their hands, waiting for an order from this captain. Once he gives the order, they will all strike on the ground. Three days in a row I received something very similar repeated three times. That further intrigue me and troubled me. Sundar shares this testimony in the following 25-minute video, which was recorded in August 2015. Z3 News contributing author Rachel Baxter posted the following comment on August 26, 2016. I received a word last summer regarding an earthquake that would be centered just south of Santa Barbara in “October”. I didn’t know which October but will be watching this coming fall. I don’t have full discernment about this event, but there was something to the activities of men in digging and placing pipe that triggered the event. This would have to be a very shallow earthquake for any kind of digging to cause this, though fracking could be a cause. When I heard this word, I didn’t know exactly where Santa Barbara was located or that it was on the coast. It does not seem to be an area with much earthquake activity as I’ve observed it the last year. Santa Barbara is located on the California coast, just north of Los Angeles. On May 31 2016, Rachel Baxter posted the following comment. I’ve seen two things related to San Francisco. One was on November 26th, 2015. I saw a picture of a notebook. It had the word “Earthquake” written on the top and under it the word “Aftershock”. 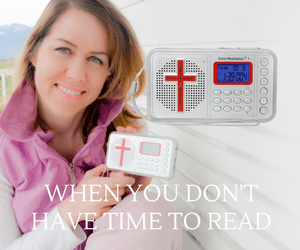 I asked the Lord – who was this warning for? I heard “San Francisco”. On August 26 2016, Z3 News contributing author Elizabeth Marie posted the following comment. A few years ago, I had a strange dream. I saw this HUGE cake that was in the shape of the United States map. It was about 10 feet long and 5 feet wide and it was on a platform base that was on top a car. I was somehow looking down at it as if I was standing on a ladder. It was a beautiful cake with each state being carefully represented with careful precision, color and detail. Each state had its name written across it. As I stood above it, I was admiring this cake and what it represented. Then, suddenly, quickly and abruptly, I saw the state of California break off and fall to the floor. I remember feeling sadness when I saw this. Earlier this year, Z3 News contributing author Katie Troutman received a dream regarding a disaster coming to California. In this youtube video, a vision was given to this lady, ( who is not identified ) of the map of the United States. (Update, the video belongs to By His Grace. Scientists Warn That The Coming California Megaquake Could Plunge Large Portions… Falling Star Lands In California, Chunks Of WA, and CA Fall. Just before 3:30 A.M. November 25, 2003, I dreamed my husband and I were walking down the street of an unfamiliar city with tall buildings on each side. She saw that a part of California was washed into the ocean, confirming Joe Brandt’s dream and William Branham’s Word For California falling into the ocean. 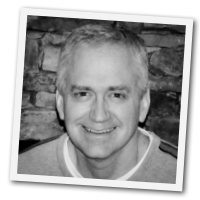 … Church · The Remnant Church · Home Tags California tsunami. Tag: California tsunami … A Horrific Vision Of A Tsunami Overtaking California – Hyang Mi. Secure The Borders Of Your Schools, California and Texas – . … A Horrific Vision Of A Tsunami Overtaking California – Hyang Mi. Joe Brandt’s 1937 Dream Of California Falling Into The Ocean I woke up in the hospital room with a terrific headache—as if the whole world was. After this earthquake happens, (Kim mentions this may be the 5th or 6th earthquake she has seen)…she sees more pieces from California fall into the ocean. May 31, 2015 – The first of these would measure between 5.5 and 6.5 on the Richter Scale and it would occur out in the desert regions of Southern California. Mar 14, 2014 – I saw a massive earthquake that just seemed to crack off the coast of California. It reminded me of a Saltine cracker that just cracked in two! In September of 1958, Dr. Lindsey was ministering to the Full Gospel Taberncle in Sacramento, California. he had been fasting and praying for several days. Jul 18, 2008 – On July 18 2008,Wendy Alec, author and co-founder of the God TV television network, received a vision of an earthquake hitting California. Apr 16, 2011 – The calamity was overwhelming the state of California (But I am not sure if the initial earthquake is going to shake the whole state or parts of it). May 16, 2016 – Jake Ruchotzke interviewed Belinda on this dream here, and she revealed another dream that she believes was set in California. She sees a ..